Do you wonder why some writers soar in their careers while others never get off the ground? We all like to think that luck has much to do with why writers soar in their careers. Listen to any interview by a famous writer and you’ll hear about their lucky break. Because they create their own luck. But it isn’t just luck. It’s something else, too. Successful writers have overcome a fear of speaking their truth. Fear isn’t, of course, restricted to writing, but as writers, our craft is where we feel vulnerable. We experience fear around our writing because our words carry a potential we can’t fully appreciate. A single well-turned phrase can become a revolutionary cry. A single blog post can transform lives. A single book can change the course of history. Writers are architects of memes that stir change. The pen is mightier than the sword because swords rust but words reach into the future. When you think about it, it’s easy to see why writing is close to alchemy. Writers turn the dross of the lived experience into the gold of wisdom. Fear arises when we realize our potential to affect future generations with our words. What would happen if you let go of your fear? If you confronted your biggest fear, all other anxieties would pale in comparison. By facing your deepest, darkest fear, all lesser fears would lose their potency. So what was my biggest fear? That, for me, was the mother of all fears. Finally, I decided to sign up for an indoor skydiving at iFly Denver. I was terrified after confirming my reservation. I could barely remember how to spell my name when I signed the disclaimer. As soon as I stepped into the wind-tunnel, it swept me off my feet. A huge roaring sound engulfed me like a waterfall. The instructor’s hands floated in front of my goggles. He was trying to get me to lift my chin. Afterward, I realized that if I had lifted up my chin, I would have soared instead of just floated. This is a metaphor for writing well. When we keep our chin up, words flow easily. When our confidence is high, words can engage and inspire. The second round went better. The instructor and I soared to the top of the silo in a perfect tandem. Then, just as abruptly, we swooped down. For a glorious minute, we soared, swooped and spun together through the height and depth of that spacious silo. Finally, I pushed out of the wind-tunnel. As my fellow students high-fived me, ecstasy rose in my chest. Although “my finest hour” was only a minute in real time, it changed me forever. For the first time in my life, I felt alive. Truly alive. This flight serves as a powerful metaphor for facing our fears. When we are no longer intimidated by unconscious fears, we feel confident… and when we feel good, we express ourselves better. If we write with a quiet self-confidence, readers pick up on it. With our chin up, our career soars. We create the perfect storm of will, faith, and creativity to lift us to new heights of success as writers. Successful writers believe they can fly. 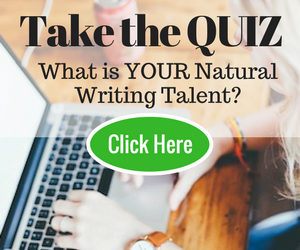 Take a look at what’s holding you back from writing, publishing, or marketing more. What’s stopping you from soaring as a writer? Saleem Rana is a psychotherapist who is on a mission to help people fulfill their fondest dreams. Download his Self-motivation Workbook to discover how to ignite your passion and become an unstoppable success. In the fear department, I have a lot to work on. When it comes to writing, I fear being a failure and the opinions of my siblings and former classmates. Most of my fears are probably pure paranoia mixed with anxiety. Recognizing your fears brings you awareness. Once you are aware of something, you have the power to change it. By making small changes in the things that are blocking you, you will gain momentum to dissolve the issues that are holding you back. You need confidence on yourself and than nothing can stop you even to fly you. Our fears are illusions, but we only recognize this when we move beyond them. Becoming confident, then, may be the process of losing our illusions. Yep! Because they create their own luck. Saleem , thanks so much for having m on your blog! I look forward to seeing how others feel about this topic. Thank you. I’m glad you got some value out of this post. hi saleem great post…good writing skill ..i am blogger and i have been searching how to write such a wonderful post…your post is quiet amazing and informative..thanks for sharing the post with me. Thanks. I appreciate your kind words. Hi, I am 11 and love writing so I have been looking around to see how long a novel should be and my novel in progress I don’t think will be quite long enough. I do have a few things to add during the second draft but I was wondering if anyone has any advice or has experienced anything similar. Thanks. I suggest that you not worry about length but focus entirely on the pleasure of writing your story. Once you have completed your story, then it’s time to try to figure out how to organize it. So, first be a writer, then be an editor. If you do both at the same time, you won’t complete your novel. Hi Saleem, Great post and I could feel your spirits lift, or LEAP whilst flying. I did a writer’s walk in the red centre of Australia and the spiritual feelings that came rushing into my being as we slept out under the stars in a dry waterbed, I think could have been similar to what you experienced, but in a different way. Hi Colin, your experience does sound very much like mine. Once you step out of the ordinary, you experience a startling new perspective. Wonderful, Saleem. It’s nice to see posts like this and meet writers like you. To encourage other writers to face their dreams and not run away from their fears is a great thing. Thank you, Rithi. Nice to meet you. Well-written, Saleem. Your suggestions can be applied not only to writing. Thank you for inspiration. Thank you. Yes, life lessons. Absolutely. My next project, soar through life! Appreciate your comments, Mark. This is a really encouraging post, and leaves me feeling empowered as a writer – thank you for the boost Saleem. So good to hear, Laura. You’re going to be awesome once you get going with your writing. I just know it. If you create an epic piece of writing, Mary, you can influence generations yet to come. Now THAT’S a superpower that no Marvel action hero ever possesses. The biggest fear of my writing is . i am writing my first post on my new blog. and i think if i didn’t write quality post no one will came to read the second and so on. That’s why i write and then i delete. in some angle i am right __ but in some angle i am wasting time …….Is there any Tip to get me ride of it. When I first started writing in college, I didn’t even know when to use a comma. I would throw one in any time I paused for breath. Now I have a better idea. May I suggest, you look into a movement started by Carol Dweck where the focus is not on excellence but on learning. It’s called Growth Mindset. You’ll be amazed at how it will completely change your whole approach to blogging. If you’re moving in the direction of your dreams, you’re winning–regardless of what other people think. After all, it takes time to be great and people who did things well once did them terribly. Love your question, Zada. You’re not alone. When I first started writing in college, I didn’t even know where to put a comma in my essays. I put one in whenever I paused for breath. From the response I got from readers, I knew I wasn’t doing it right. No English professor was willing to sit down and explain it to me and I couldn’t find a book or article on how to write commas. Finally, I figured if I hand wrote articles from Reader’s Digest, I would get the hang of it. This brute force strategy worked. Besides learning how to write commas, I did learn something else, too–as long as you’re moving forward, you’re a winner, no matter what anyone else thinks. Eventually, you get the hang of how things work. Just keep moving forward. I myself have been writing since I’ve been eighteen. That was when I got a typewriter as a present from my Mon and Dad and got into watching the trials and tribulations of writing with John-Boy Walton on “The Waltons”. I have sent to over twenty different magazines and contests. Finally I wrote a 900 page novel about a serial killer in New York. I’ve had it sitting in my computer for five years. I feel it is a great story and it could work. But I took some time off from it because I didn’t just want to jump in right away. But I’ve decided that either I’m just being silly (I’ve heard of the so called fear of success) or just being lazy. So I vowed that I’ve spent enough time away from it, to edit the three chapters I need to send to this editor in NY I’ve discovered. Stephen King wasn’t born Stephen King best selling author. he had a wife who saved “Carrie: from the garbage . I have a sister who is an English professor and a published poet to help me so I’m not flying blind. There come a time when you have to roll up you sleeves and get to work. The article was great. It is great that you faced you fear. Outstanding . My biggest fear. Well let’s just say I have an extreme dislike for wasps. But I have no wish to embrace them . However I have gotten to the point where if they are in my house, and I have the right rubber band, I’ve become Clint Eastwood, or The Green Arrow and they’re history. I have made a vow to edit my novel this year give it the best shot I can give it. I thought it would be terrifying floating around in a large room. Instead, as I did it, my sense of time slowed and I was in a state of delightful hyper-awareness. My imagination did not correlate with my experience. I think you will find the same thing when you finish your book. You will discover a quiet joy in the process of refining and finishing it. Wonderful, Saleem. It’s nice to see posts like this and meet writers like you. To encourage other writers to face their dreams and not run away from their fears is a great thing. Keep up the good work. Thanks. Thanks, Ron. I appreciate your kind words. It’s nice to meet you, too. This post really created a ‘moment’ for me. I’m 36 years old and I’ve known I wanted to write for literally as long as I could read and write, but only now am I giving it any serious thought. Growing up, choosing my degree, going for jobs – at every fork in the road, I consciously took a path that was not writing. I had my reasons for wanting a more ‘stable’ career, but more fundamentally, I knew that I wasn’t pursuing it due to fear. The thought of failing at such a cherished dream just felt too much, so I didn’t try. I’ve known this for far too long, but this post gave me the missing part of the jigsaw puzzle: what am I really afraid of? To write, you have to lay yourself bare and then leave it out there for other people to judge. Which is scary, but also powerful (which in itself is a little scary!) But I think you are right about facing right into it. Thank you for making me think about this! Yes, writing forces you to examine your life in depth. I certainly learned more about my experience after writing about it, because it forced me to reflect on every aspect of it. I love the creative way you literally found your wings, Saleem. Thanks, Fiona. After my first flight, I felt I could do anything. Congrats on your first guest post, Saleem! Yay! Henneke. Good to see you here. My wife and I watched your video over and over. Partly because we’re thinking it would make the perfect birthday present for our 10 year old son. And also because it’s just a great video. You must have gulped out loud as you went to the top. Great tips for writing, too BTW. That’s a great idea, Joe. I think your son will be thrilled. As it happened, I was in a zen-like state, acute present moment awareness. Only when everyone started high-fiving as I returned to the room, did I realize what I had just done. A really engaging post. Well done Saleem. Thanks, Fran, It was fun to write. Well done, Saleem! I know you’ve worked hard to polish your writing.